In today’s time, technology changes a lot. In years past, people were certainly not as concerned about computer technologies as they are today. They were not familiar with the use of online content. There is a big change going on in each and every field of life. For every search for information, people use the computer and online facilities. Basically there are two kinds of content available on the internet, offline and online. Most commonly used material or content on the internet is online. Websites prefer to support online facilities. With online material or content, websites simply earn more money. In the same way most commonly used online content is online videos. Before 10 years ago, online videos were not frequently used. Only a limited number of users like, professionals or doctors used online videos with limited abilities. At that time, online videos were also difficult to watch because of slow internet speed and limited bandwidth. Now that we have already entered into the world of Internet, the characteristic of video faces more revolutionary change. Today millions of people get facilitated from online videos. People upload and download thousands of videos daily, watch interesting programs, informational content and lots of other stuff online. Instead of reading boring articles ;), online videos can convey most information in a better manner and are simply more entertaining. Majorly because of online videos, popularity of the internet increases day by day. Now thousands of websites are available, providing online video services. It’s not difficult to search and find any information on those sites, anything from news, sports, online movies, to your favorite cooking recipes, religious programs, documentaries, reality TV, songs etc. Some online video sites as YouTube and MySpace also provide options to create and edit your own online videos. These websites earn great money from advertisers and generate a lot of traffic by uploading hundreds of videos in a day and also by giving options to users to create and manage their own video accounts. We can say that in coming years there will be a great change in accessibility of online videos and communication. Even Hollywood and major TV channels are providing facilities on the internet. Online videos will become of great attraction for every age of people. This will also provide great opportunity to people creating videos and there will be no problem with bandwidth for online videos anymore. Now it is quite easy to share online videos, but in the future it will be even more enjoyable and easy to share online videos on various platforms. In time to come, online video will become great business. As video production once used to be reserved for television channels and film makers, now lots of people will become video creators. The world will become a lot smaller through watching online videos unlimited. The list of benefits that video marketing provides is long. For instance, retail site visitors who get to watch a video stay two minutes longer on the site, on average, and are 64 percent more likely to purchase than other site visitors. 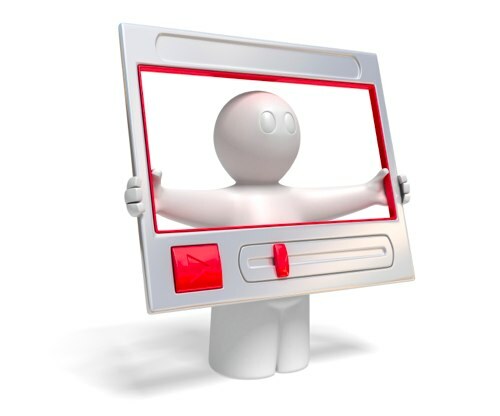 When used in e-mail marketing, video has been shown to increase click-through rates by more than 96 percent. Rich media ads containing video increase purchase intent by 1.16 percent and have success more than four times that of Flash animation. If video impacts the e-commerce, e-mail and design industries, count on it impacting your industry as well. So as a result, we can conclude that business through online videos will flourish more than ever. It will attract huge amounts of people to websites. Nowadays, online videos are frequently watched, but in future, websites providing online access to videos will simply get more visitors, earnings and fame than websites who don’t.